Anyone on the left would have been disappointed at the result of the election. There was an opportunity to win, but that got lost through a combination of factors. There were tactical decisions made by Labour, the Greens and Internet-Mana that contributed to the defeat. Each party needs to have a discussion on what those were. However, the defeat was the product of objective conditions in the first instance. We had a unified right wing that knew the importance of strategic voting. National got two bonus MP’s in Epsom (Act Party) and Ohariu (United Future) and helped defeat Internet-Mana by urging a Labour vote in Te Tai Tokerau. John Key urged a vote for the Labour candidate to defeat Hone Harawira and so also stopped him bringing in at least one more left MP on the list. Laila Harre from Internet Mana talks about how to use our votes strategically, to elect the strongest fighters possible for workers’ rights. Beat the rain on Saturday! So many people have already voted, over 350,000 in fact! Maybe you’re one of them?If you haven’t voted you still have time. The weather forecast for Saturday is rain and wind over most of the country. If you think the weather will impact on your ability to vote, or the ability of someone you know – then vote before Saturday! It’s really important that people know that on Saturday it’s not possible to enrol you can only vote. Do you know anyone under between the ages of 18 – 30? Please ask them about when they’re planning to vote. I’m looking forward to voting on Friday, Suffrage Day, with my son and other members of my family. Like you, I’m committed to having my say about who our next government is. 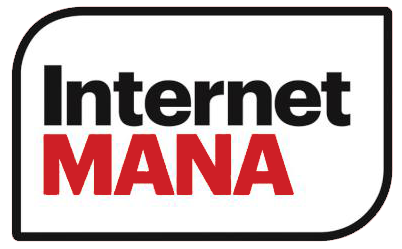 Internet MANA will build a more inclusive society that everyone can contribute to and thrive in. The core of this involves feeding the kids and ensuring that free tertiary education is available to everyone. We will also tackle the housing crisis head on with 30,000 new state rental homes to reduce rents and house prices for everyone. We will ensure everyone pays a fair share of tax with new taxes on some financial transactions and wealth. We will expand access to democracy with a Government more responsive to people’s needs than corporate interests. Internet MANA will invest in jobs because the right to work on a living wage is at the heart of restoring dignity and self-respect to everyone. We will boost innovation and high-tech jobs through investment in research and development and support for startups. New opportunities in the untappeddigital economy will be created and that requires access to cheaper, universal Internet for everyone, ensuring that no one is left behind in our digital future. We will take responsibility for the wellbeing of our future generations by realising the goal of 100% renewable energy by 2025. Internet MANA will uphold Te Tiriti o Waitangi as the basis for a proud nation which offers Māori language in schools to advance our unique national identity. We will withdraw from the Five Eyes alliance, stop mass surveillance by the GCSB, stop the Trans-Pacific Partnership Agreement (TPPA), and initiate a Bill of Digital Rights to safeguard our human rights in a digital era. Internet MANA will tackle persistent high rates of unemployment by reinvesting back into society and filling the many gaps of past policy failures to take us into the future. We will set a national goal of 0% unemployment for under 25s and eliminate long-term unemployment across the whole labour market. Internet MANA will use the know-how and support innovation and self-start entrepreneurship from within our own communities to solve their own unemployment & social problems as well as invest $1.03 billion each year to fund approximately 100,000 temporary jobs where the labour market is not able to create jobs. It’s not good enough to just have a job – the hours of work and pay per hour are equally important for a family to have a decent standard of living. Internet MANA would work to stabilise hours of work and increase the minimum wage from the $14.25 an hour at present to the living wage, currently $18.80. We would peg the minimum wage at two-thirds of the average wage to prevent it dropping dangerously in the future as it has done in recent decades. 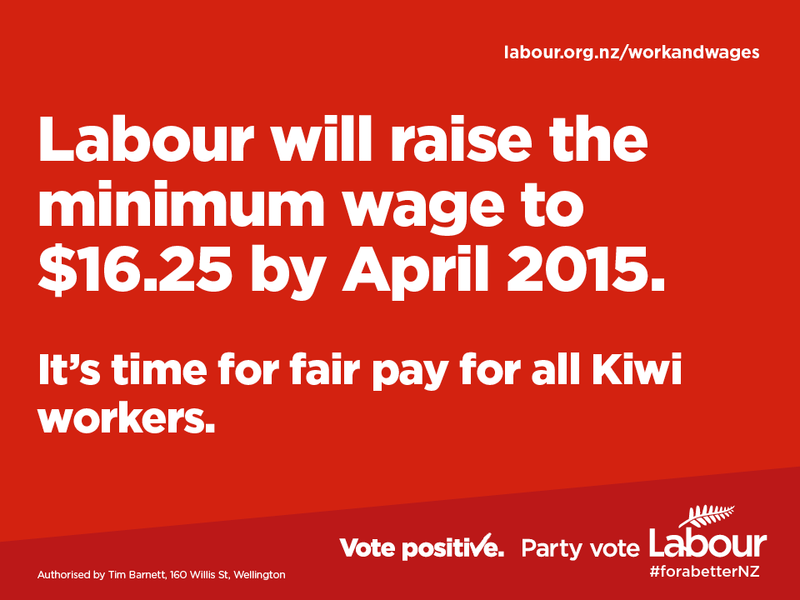 Labour is committed to good jobs, decent work conditions and fair wages driven by a high-performing economy. To get there, Labour is also committed to workers having a voice in their workplaces and industries through collective bargaining and their own, independent trade unions. 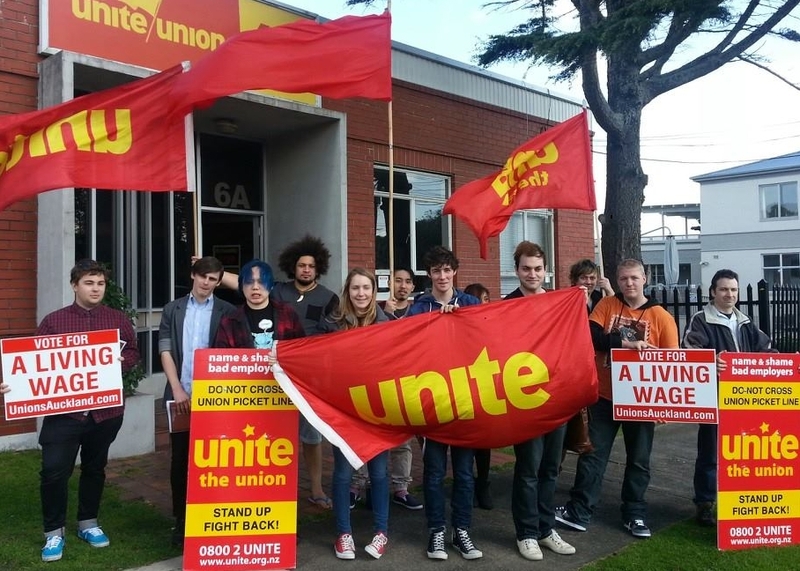 We believe that workers need a strong platform of basic standards, including, a decent minimum wage, the right to negotiate collectively, health and safety protections, a Living Wage, as well as adequate holidays, rest breaks, and redundancy provisions. We believe that strong labour protections are the hallmark of a civilised society, which recognises that good employment standards are a right, and that those same standards underpin a high-performing economy. Labour believes that most employers also share a commitment to strong labour protections and can face unfair competitive pressure from those that don’t. Review health and safety laws and ensure Worksafe New Zealand is adequately resourced. If you are working on election day- How to vote. You are legally entitled to have time away from work to go and vote on election day. Section 162 of the Electoral Act 1993 sets out the responsibilities of employers in respect of allowing any employees working on election day time off to vote. Any employee who has not had a reasonable opportunity to vote on election day before starting work, must be allowed to leave her or his work for the purpose of voting no later than 3pm for the remainder of the day. An employer cannot make deductions from the employee’s remuneration for the time taken off.